The ANU and ANU Union are in negotiations to conclude a lease agreement over the ANU Commons space. Negotiations appear strained, with ANU refusing to allow the Union to call the the venue the “ANU Bar” and threatening to back out of the agreement if details are leaked. The ANU has made an application to the ACT Government to rezone the space below Lena Karmel, previously operated as ANU Commons, to allow for a permanent bar. Feedback can be made until July 6. A source with knowledge of the negotiations told Observer that the University does not want the new venue to have “ANU” in its name, at least in isolation. 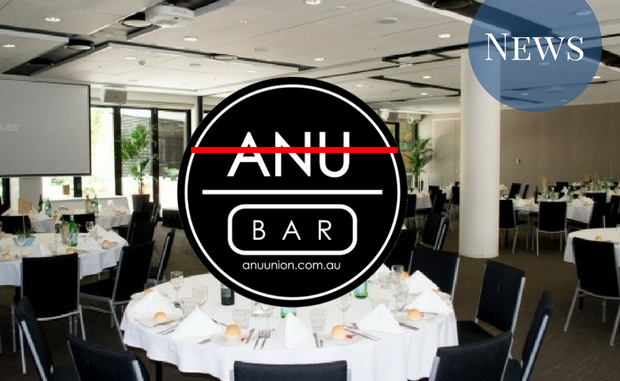 The Venue may be eventually called “ANU Union Bar”. While the reasons behind this are not currently clear; given the new Kambri development will have its own bar, it is likely the University does not want the Union bar to be seen as ANU’s central bar, as the Union’s former “ANU Bar” was. According to anonymous sources with knowledge of the negotiations, the ANU has threatened to back out if details of the negotiations are publicised or leaked. Relations between the University and Union have been uneasy since an expensive legal dispute between the two over the old Union building. At that time, the Union delayed the Kambri redevelopment for weeks while they engaged in a legal battle with ANU over their right to demolish the property. The dispute was eventually settled out of court. An anonymous source has told Observer that ANU feels it has significant bargaining power because the Union lacks the legitimacy of ANUSA due to its low profile, factionalism and low voting turnouts. The Union is a democratically elected student body, though the most recent elections were uncontested. The entirety of the space will not be dedicated to the bar. Observer understands that the space will also host Rosie’s Chicken, a business that previously operated in the old Union building. It will also contain a ‘Naughty and Nice’ food bar which will offer healthy option alongside higher calorie ones. The space will also include a mural. The previous operators of the Commons space, Little Pickle, used the space for functions and other one-off events. Little Pickle’s lease ended when the University exercised an option to terminate its lease and negotiations were subsequently entered into with the union. The ANU has refused to confirm that it is negotiating with the Union, describing them only as “a potential vendor”, and saying that “ANU will not be making any comment until an official lease is formalised” on July 27. The Union Chair Tom Lindenmayer said only that they “continue to be in commercial negotiations with the University” and will not make “any public statements in respect of our future arrangements”. The Union has refused to confirm that has been in negotiations since March 16.